What would it take for you to have a Breakthrough Year in 2018? James Wedmore asked us this a few weeks ago during Amy Porterfield’s Entrepreneur Experience and it’s had a big impact on me. The focusing on my tribe is a big one. I’ve spent a lot of my time this past year focused only on my Facebook Ads Management clients, which is only a very small percentage of my tribe. And while I LOVE running Facebook Ads for my clients, I don’t like that I’ve been ignoring the vast majority of my peeps. 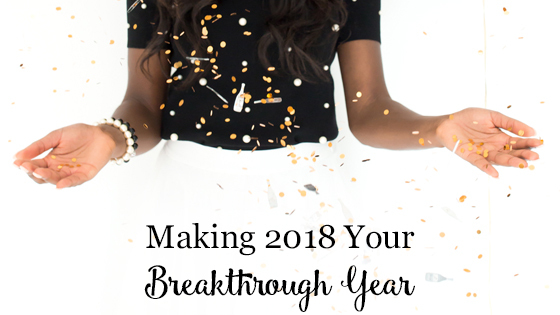 What would a breakthrough year look like for you? Here’s to an AMAZING New Year… full of BREAKTHROUGHS!